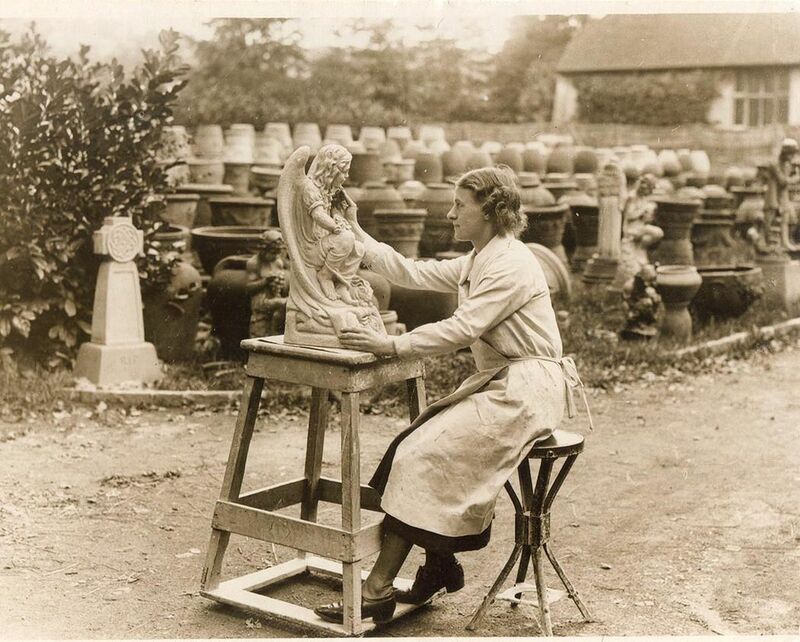 Following the lead of Victorian social reformers such as William Morris and John Ruskin, Mary Watts established the Compton Potters' Arts Guild in 1898 to promote traditional handicrafts among the local community. Their products were sold through fashionable retailers such as Liberty and are still familiar and popular today. 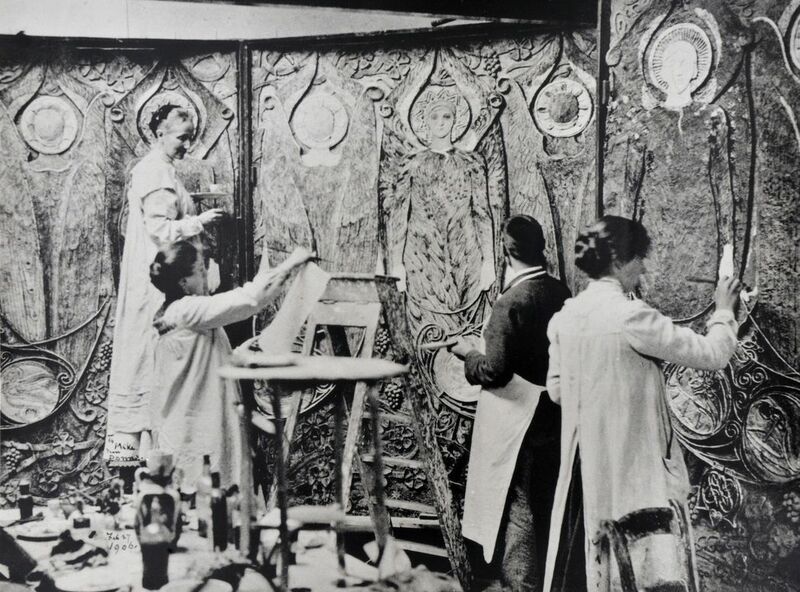 Once the Watts Chapel had been consecrated in 1898, Mary Watts began a new regular evening class at Limnerslease with the intention of executing the interior decoration of the Chapel. But her local collaborators had become so enthusiastic about their work in terracotta that Mary felt ready to develop, in addition, a fully-fledged pottery business on the back of the Chapel project. 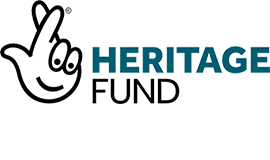 The plan soon adopted was to emphasise decorative, artistic pieces, subsidised by more lucrative commissions for gravestones and sundials. The bottle-shaped wood-fired kiln, designed by William De Morgan, that had been constructed in the grounds of Limnerslease was set working again. Memorials for the Watts Cemetery – and further afield – were soon in production, as were the sundials set on pedestals still to be found in gardens across southern England. By 1901 Mary had recruited a full-time pottery manager, James Nicol, who was to remain her lieutenant until 1930, living in a cottage near the premises. A site across Down Lane from Limnerslease was acquired for the Pottery Building where in due course a larger kiln was constructed. By 1904, when the Watts Picture Gallery opened with accommodation for the pottery apprentices, the establishment became the Compton Potters' Arts Guild. The name reflects the ideals of William Morris and John Ruskin who advocated a return to the pride in communal workmanship of pre-industrial times. Compton Pottery is still associated especially with its locally sourced terracotta, although later it produced more dainty objects in lighter commercial clay. Most distinctive of all are the chunky garden pots which are now so highly valued once more. These were typically press-moulded (the red clay was shaped by being pressed into plaster moulds), but some were thrown on the potter's wheel with the decoration then added separately. The fondly remembered Potter's Wheel BBC interlude film of the early 1950s shows the hands of Compton potter George Aubertin. Finished pots were laid out for sale outside the pottery, next to the horse-turned pug-mill used to prepare the raw clay for working. The pots were also sold through other outlets, most notably Liberty of London, where Mary was named as their designer – against the famous store's regular policy of marketing only under their own brandname. Liberty also sold an elegant brooch based on one of Mary's key Chapel motifs, and exhibited the Celtic-patterned Pelican rug which she designed to be manufactured by Alexander Morton & Co. at Killibegs, County Donegal in Ireland. 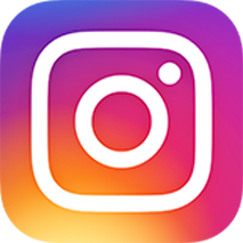 Watts Gallery – Artists' Village offers various opportunities to see the work of Mary Watts and the Compton Pottery. 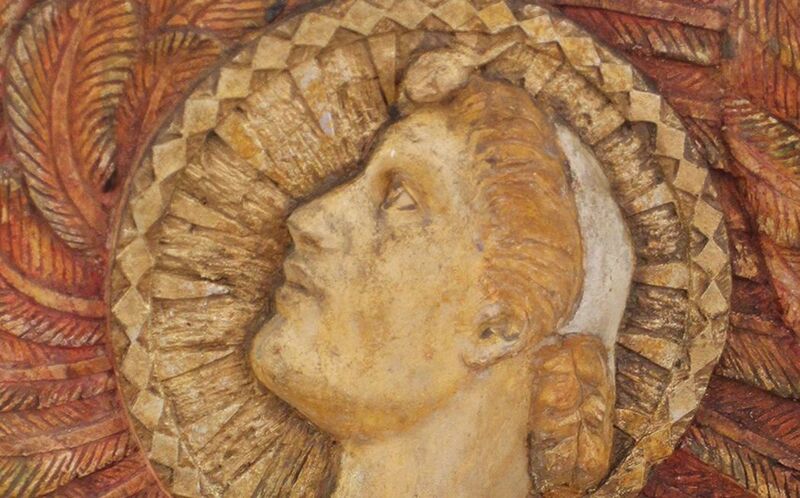 At the Watts Studios at Limnerslease there is a dedicated Mary Watts Gallery which explores the creation of the Watts Chapel and which also gives visitors the chance to appreciate Mary's many other achievements. The Watts Chapel itself, and the surrounding Watts Cemetery, form the most complete tribute to Mary's work as a designer and artistic collaborator. There are some sixty Compton Pottery terracotta gravestones in the Cemetery, giving the whole site a deeply satisfying coherence as an Arts & Crafts masterpiece in its own right. In 1906 Mary added a decorative well-head at the Cemetery's northern boundary, and in 1911 completed the elegant brick Cloister that clings to the rising ground next to her husband's grave (Mary's ashes were interred alongside his in 1938). The Cloister was gradually filled with plaques commemorating local people, while at its midpoint, next to the low gates, is a memorial to G F Watts. Suitably Italianate for one known to his many friends as Signor, this was designed by Mary and incorporates relief interpretations of two of Watts's paintings and an effigy of the artist himself made by Thomas Wren who had come from Monkshatch to work as an assistant first to Watts and later to Mary. At the feet of the figure is a cherub holding a scroll on which appear the Latin words Finis et Initium: The End but also the Beginning.